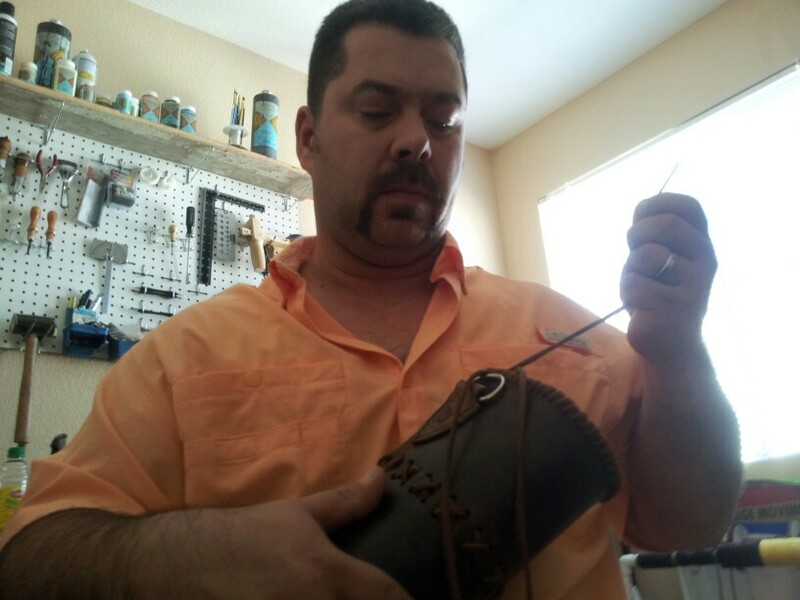 Rasher Quivers is committed to making our Custom Order process as easy as possible. We hope that understanding these stages makes this process easier on you. Please let us know if there is anything else we can change or do to improve on this process to make it better for all by leaving a comment below. In this stage we design any new products or parts required for customizations. This includes adjustments in measurements for length, width, height, stitching variants and more. In many cases this process is already completed if you are ordering a pre-designed product that is already listed in our product line up. In this stage we make the template(s) that we determined were needed in the design process. These templates insure that all the pieces fit together properly for the next few stages. In this stage we also determine what materials will be needed for each part of the product. Once again this process has already been completed if you are ordering a pre-designed product that is already listed in our product line. 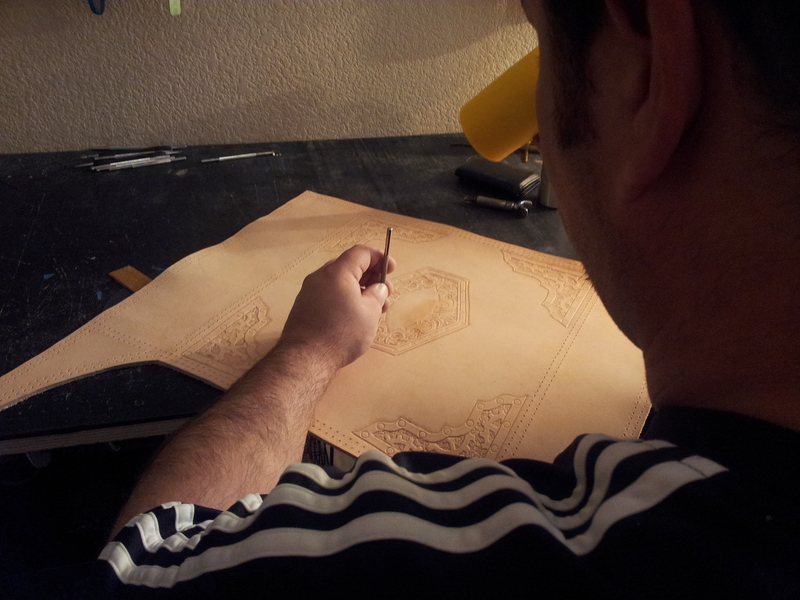 In this stage we cut the leather for each and every part of your product’s build using the templates. We also pre-punch the holes for stitching, lacing, and hardware. In this stage we stain the leather to your specifications. 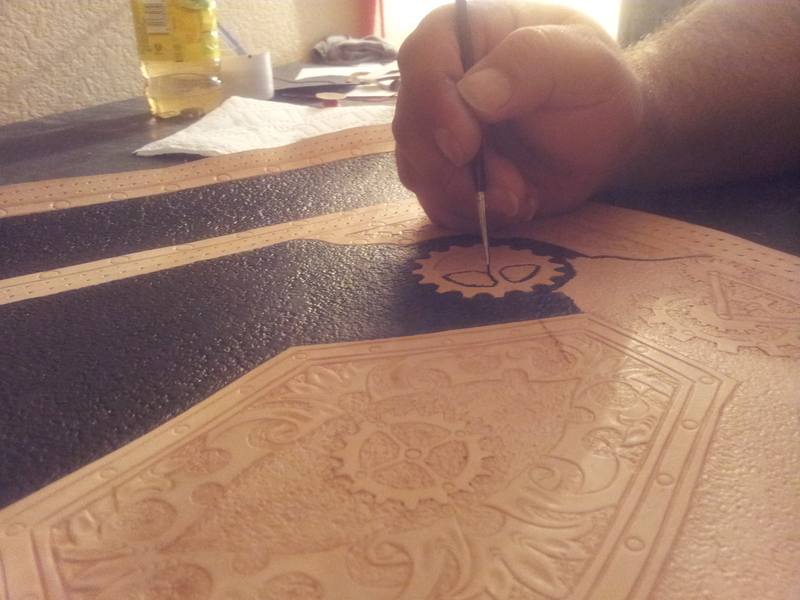 We then seal the leather to reduce the stain bleeding and fading. This process also provides additional protection from the elements. This stage requires several applications of both the stain and the sealant. This stage is timely due to dry times. In this stage we attach all hardware. Snaps, Strap Braces, rivets…… We also finish all decorative stitching and lacing. This is where everything starts coming together. This is also where we learn if we did anything wrong. One hole out of place, one measurement off and we may have to begin all over again. We like to make the quiver bottom last due to the varying thicknesses of leather. 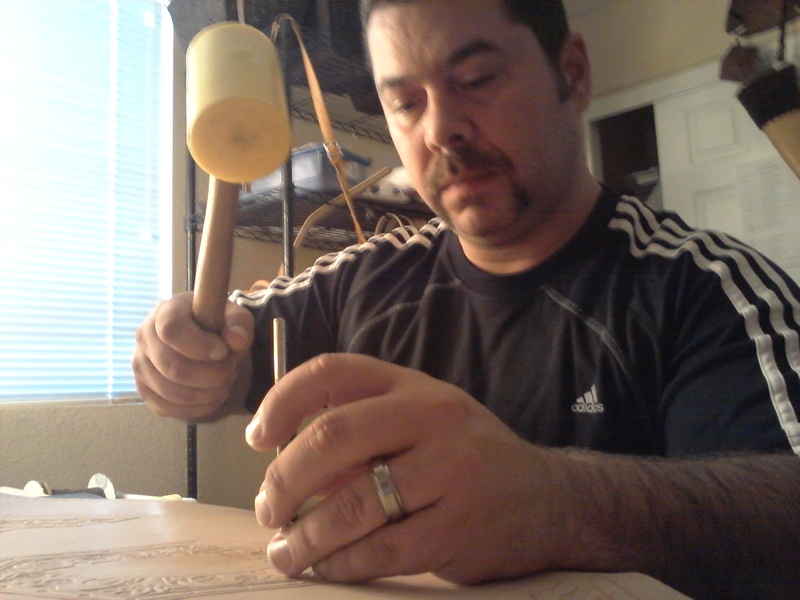 In this stage we cut, tool, stain, seal, and stitch on the quiver bottom. In this stage we make sure that everything came together to Rasher Quivers’ high standards. If any piece of your quiver doesn’t meet these standards we will either fix it or rebuild it. You can follow the entire process of your build on our Facebook Fanpage at http://www.facebook.com/ArcheryQuivers Here we will post updates specific to your build on a daily basis. Part one is the primary name of the the product ordered. We hope this helps you feel more comfortable while we at Rasher Quivers craft your custom leather quiver. Please let us know if there is anything else we can change or do to improve on this process to make it better for all by leaving a comment below. This entry was posted in Products & Promotions and tagged Archery equipment, Archery Gear, archery quiver, Back Quiver, custom quiver, hip quiver, leather crafting, Leather Quiver, Traditional Archery Quiver. Bookmark the permalink.